Katzenberg draws on more than 40 years of experience as an entertainment industry leader. After serving as President of Production at Paramount Studios, he became Chairman of the Walt Disney Studios, overseeing a renaissance of animation and helping to usher the studio’s transition to digital production, releasing top-grossing beloved animated classics such as The Little Mermaid, Aladdin, and The Lion King. In 1994, he co-founded DreamWorks SKG. A decade later, DreamWorks Animation became a publicly-traded company, with Katzenberg serving as CEO. Under Katzenberg’s leadership, DreamWorks Animation moved into all-CG production, becoming the largest animation studio in the world and a global branded entertainment company, releasing 32 animated feature films and 24 television series that brought to life Shrek and Donkey, Kung Fu Panda, Madagascar, and How to Train your Dragon, which have been embraced around the world. In 2013, DreamWorks made a major expansion into online media with its acquisition of AwesomenessTV. In August 2016, DreamWorks Animation SKG was sold to Comcast for $3.8 billion. Katzenberg received an Honorary Palme D’Or from the Cannes Film Festival in recognition of his outstanding achievements in film and he was inducted into the Ordre National de la Légion d’Honneur, France’s highest honor. He also received the SAG-AFTRA Foundation Patron of the Artists Award, as well as the Motion Picture Academy’s prestigious Jean Hersholt Humanitarian Award. 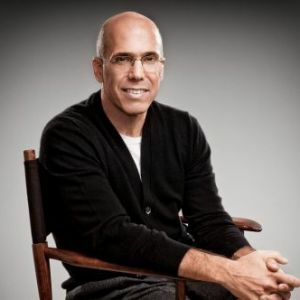 In addition to serving as Chairman of the Board for the Motion Picture & Television Fund Foundation, Katzenberg sits on the Boards of AIDS Project Los Angeles, American Museum of the Moving Image, California Institute of the Arts, Cedars-Sinai Medical Center, Geffen Playhouse, Michael J. Fox Foundation for Parkinson’s Research, University of Southern California School of Cinematic Arts and The Simon Wiesenthal Center.